At Jaguar Colorado Springs we want your vehicle financing experience to exceed your expectations! Our expert finance staff is standing by to assist you with any questions or concerns you have in buying a new or new-to-you Jaguar vehicle. If you are concerned about your credit history or score, do not hesitate to contact us about how we can help you! 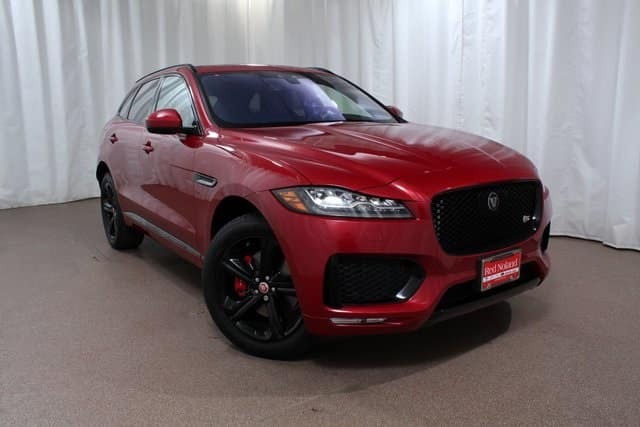 We work with a variety of lenders and aim to find the best option for you to drive home in a beautiful Jaguar car or SUV, like the 2019 Jaguar F-PACE pictured above. We also offer helpful resources on our website to assist you before you even come into the dealership. Our finance application is easy to fill out and you can customize your purchase decisions to get a finance decision then finish the process at our dealership. We also have a payment calculator so you can easily calculate your potential monthly payment on a specific vehicle in our inventory. Lastly, if you have a vehicle to trade in, use our trade-in estimator. We go through Kelley Blue Book Instant Cash Offer to give you a market estimate of what your vehicle is worth. If it’s time to upgrade into a luxury Jaguar, stop into Jaguar Colorado Springs to make that happen! Our sales and finance experts are eager to help you drive home in your dream car or SUV today.